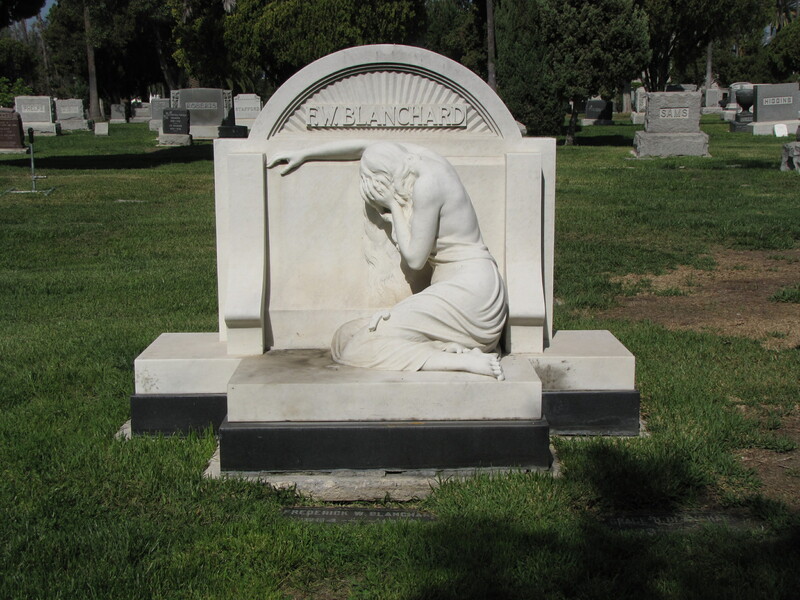 The mourning figure on this monument is to make the passerby remember. She clearly elicits an emotion of sadness, even flat out despair. 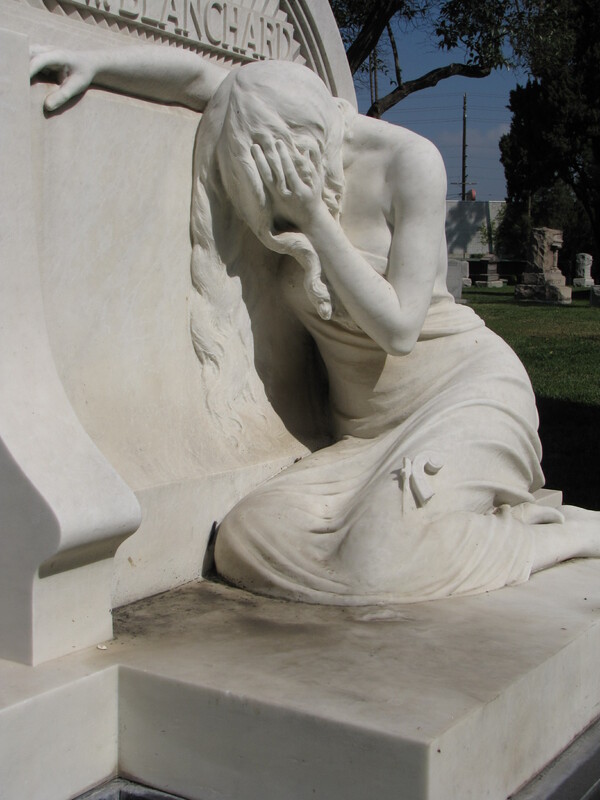 The mourning figure is carved into the glistening white marble monument in the Hollywood Forever Cemetery at Hollywood, California. This mourning figure has collapsed against the back of the monument. Her head is bowed in sorrow, her hair covers her face, and she weeps in complete desolate sorrow. Her body entire body is bent in a display of grief. It is difficult to look at the gravestone and not be moved by the expression of grief represented by the mourning figure and feel the loss and sorrow of the family who erected the gravestone for Frederick and Grace Blanchard.